Spotted: my go-to thrifted purse. Overused I tell you! The necklace was a Christmas present from my baby sisters a few years back. I was raving about it while Christmas shopping and they purchased it as soon as I turned my back—yep, that’s Christmas shopping the Ramas way. Haha. As I mentioned a few posts back, I have “leg insecurities” so I don’t normally opt for shorts these short but they were on sale for $10 (originally $26 if I’m not mistaken) at Aeropostale-San Marcos Outlet Store and it’s perfect for Houston’s extremely hot weather. Belt knotted the “Mae Ona” way, did I do it right? Haha. To those who are not familiar with Plato’s Closet, it’s like a thrift store for gently used clothing and they do buy and sell trendy clothes for teens and up, they also offer accessories, purses and even pairs of shoes (uuuhhh—yeah). This store is obviously not for people who are particular about second-hand clothing, although in some instances they do have branded items that have never been used (probably items that were purchased but never worn or items that could not be returned coz it’s past the 90 day return period or missing the receipt). Just like any store, not all the time you’re going to end up liking their items but it’s definitely one of my go-to stores for last minute outfits (ex: weddings or themed bridal showers). Personally, Plato’s Closet fashion is more of “trendy” than anything else, they sell what’s in for that season or what the mannequins are wearing at the malls from commercial brands like Forever 21, Wet Seal, American Eagle, Aeropostale, GAP, Rue 21, Sasha, Charlotte Russe, etc…unlike my other go-to thrift store, Buffalo Exchange, which offers more vintage and edgy pieces (items may slightly be more expensive) with a touch of bohemian and they offer items from an array of independent fashion brands. Anyway, back to the sale—Plato’s Closet holds a Grab Bag Super Sale twice a year, one on January for fall/winter items and one on June for spring/summer items. Coming from a big family like mine, with 6 girls (that’s including my mom), these kind of sales are the ones we take advantage of and not to boast either but it’s on these events that I can show off my folding skills. I seriously have a knack of folding, packing and packaging items, an OCD trait that I probably got from the Climaco side <thank God for Uyang’s (RIP) training>. Plato’s Closet opens 10 am and I told my sisters it would be best to be there by 9 am at least, but it took me forever to wake all of them up and we ended up getting there at 9:15am. Boy, the line was already very loooooonnnngggg. Now, the strategy here is to make it to the cut of the first batch that they let in. You see, they can only allow a few people in depending on the maximum capacity of the store and once that max has been met they make you wait outside until someone is done shopping and leaves the store. We certainly did not make it to the first batch by 10-15 people and we had to wait awhile. Oh yeah, perks of the first batch—you get first access to the good stuff, the rest gets the left overs. Done folding! Smiling with 7 bags of neatly folded items. 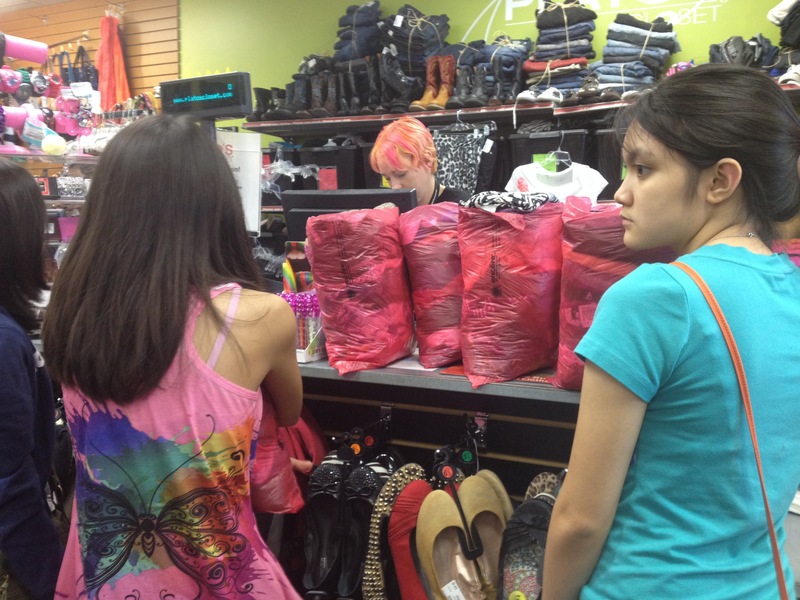 Since it was Nicole and Angelie’s first time to do it, I had them go in the store first. 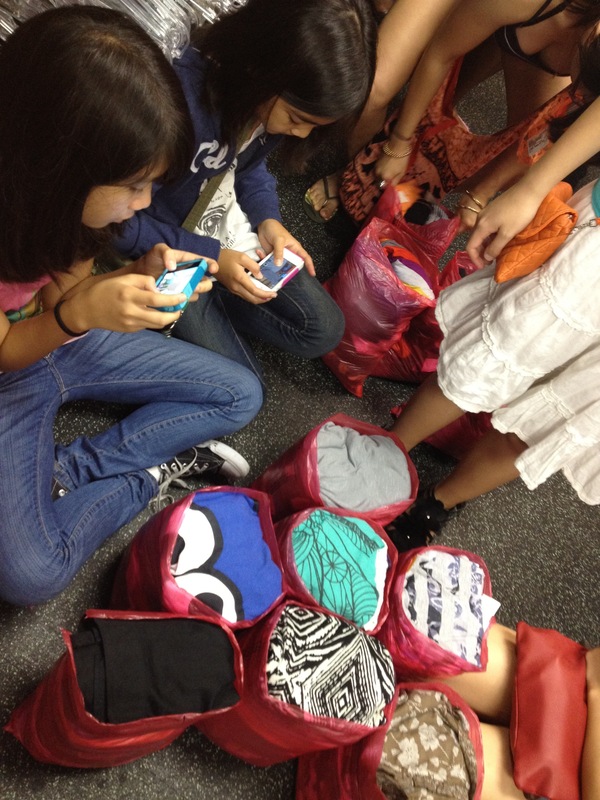 It was fascinating to watch them rummage through a bunch of clothes, picking stuff that they would actually wear out. I’m still getting over the fact they they’re all grown up and Mom and I don’t have to pick their clothes for them anymore. Just grabbed a few items since I really didn’t need any more clothes; I sat in a corner and I waited for them to bring me their finds so I could start folding and packing. I probably squeezed in 15-20 items in one small bag, without even trying, and neatly too if I may add. 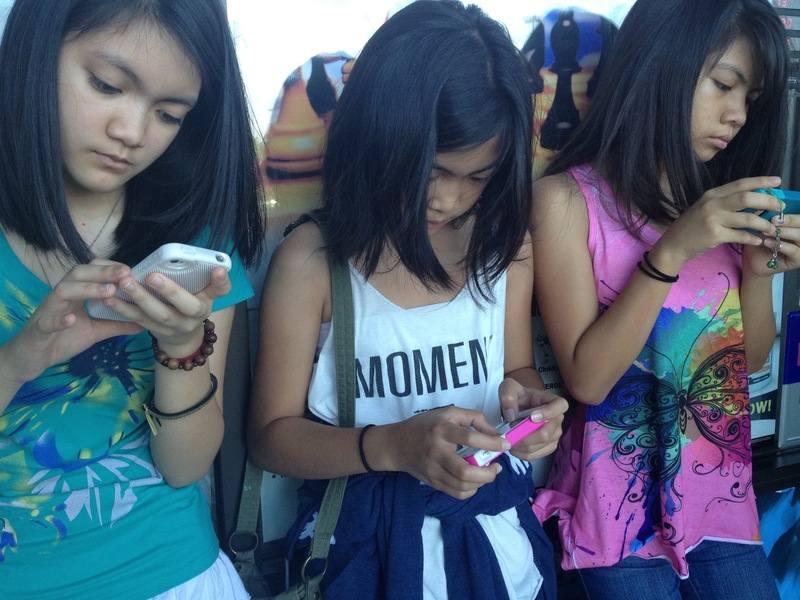 There was another wait at the cashier but it’s a good thing they had a different line for cash-paying customers. Lesson learned: next time bring cash just in case. 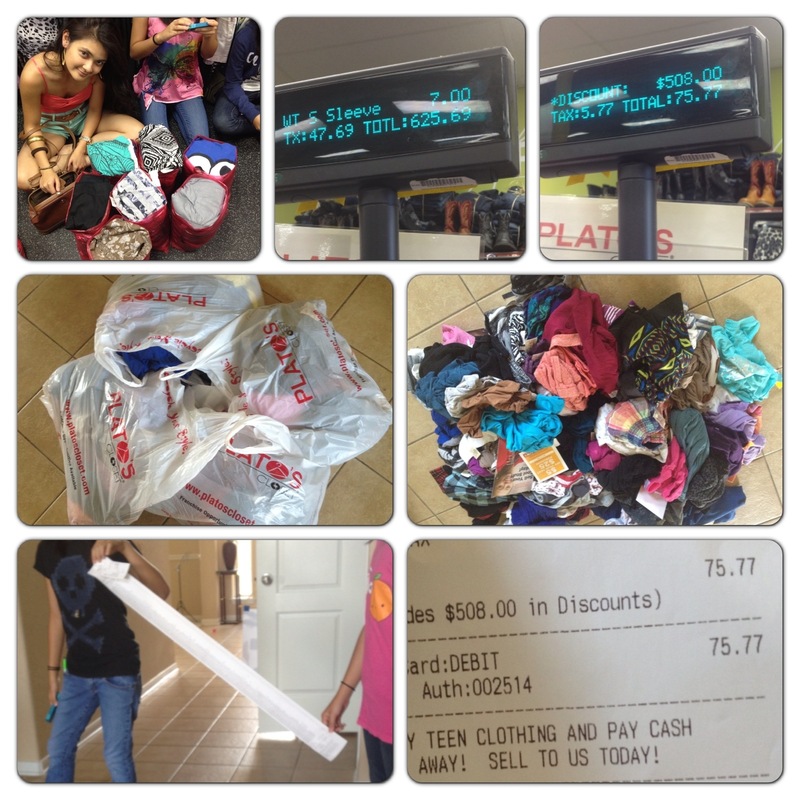 Paying for our 7 bags worth of clothes. Thanks pop for treating us out, on your birthday too! Happy Birthday papa!!! From $625.69 down to $75.77–now, that’s what I call a SALE. 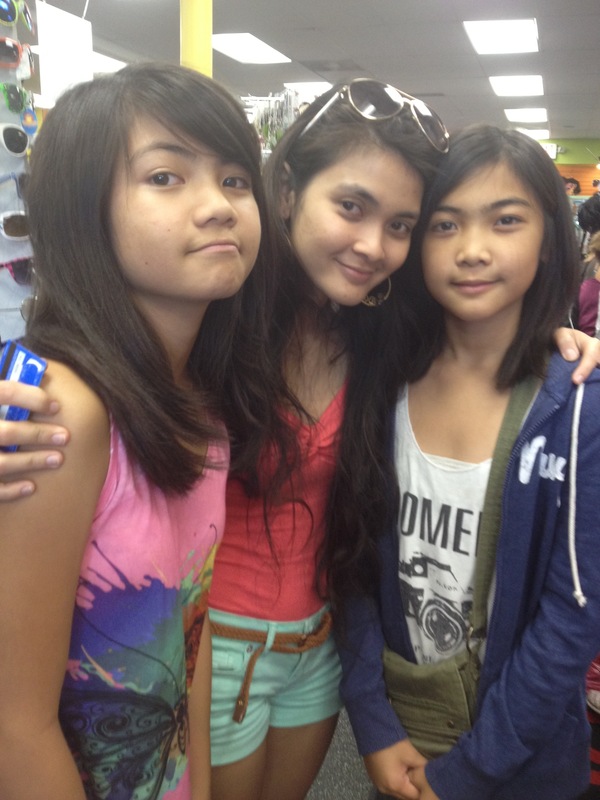 Photo with my little sisters: Angelie and Nicole, no longer Grab-Bag-Sale newbies. Plato’s Closet held a contest for a $100 gift card, all you had to was submit a picture of your receipt and your savings and post it on their Facebook page. Did someone win already? I think I missed the announcement.Anyway here’s what posted in hopes of winning the $100 gift card. Can’t wait for the Grab Bag event in January, another girl-bonding activity with my sisters and hopefully my mom (if she’s not working). See you there!